Supramaximal stimulation. To provide valid information about the maximal strength of the whole diaphragm, PNS should be bilateral and supramaximal. Although PNS should be supramaximal if Ptw is to accurately reflect maximal diaphragm mechanical output, this is not necessary when PNS is used to study phrenic conduction time (see Section 3 of this Statement). Failure to achieve su-pramaximality leads to underestimation of diaphragm mechanical output, overestimation of central drive when using twitch occlusion (see Particular Techniques), and variability. The "gold standard" to achieve a reasonable degree of certainty about the supramaximality of PNS is to establish a recruitment curve using the EMGdi, and stimulation is maximal when there is no further increase in EMGdi in response to an increase in intensity. increasing stimulus intensity by a further 10-20% provides a reasonable safety margin that compensates for slight changes in the quality of the stimulus. With CMS, it can be difficult to reach a clear plateau in amplitude of the action potential with intensity, but the peak-to-peak amplitudes of the action potentials produced by CMS at the maximal intensity of stimulation with a 2.5-T magnet are not different from the peak-to-peak amplitudes produced by supramaximal bilateral ES (109). The increasing power of stimulators may help reduce this problem in the future. Lung volume. Lung volume has a major influence on the ability of the diaphragm to produce pressure, during voluntary static or dynamic maneuvers (13, 36, 122-128) and in response to PNS (83, 84, 117, 119, 129-134). This is a result of the inverse relationships of length with force in skeletal muscles, and of lung volume with diaphragm length (36, 69, 125). Pdi,tw decreases as lung volume increases, with a prominent reduction in Pes,tw that is close to zero at TLC (83, 129-131, 134-136) (Figure 13). Isovolume changes in rib cage and abdominal configuration also influence Pdi,tw (83, 84, 125). A long-standing increase in lung volume tends to be compensated for by adaptive mechanisms at the level of the sarcomere, known as "length adaptation" in animals (137-141) and probably in humans (131, 142). Thus, the observations made during acute changes in lung volume may not be as relevant to chronic hyperinflation. How sensitive to changes in lung volume is the pressure response to PNS? Between FRC and TLC, Pdi,tw and Pmo,tw decrease by approximately 3%/100 ml (83, 84, 119, 130, 132), and between RV and FRC by approximately 5%/100 ml (83, 128). These changes appear to be reduced if care is taken to avoid potentiation (129) and may be less in the elderly (131, 134). Lung volume, and if possible rib cage/abdominal configuration, should be carefully controlled when assessing PNS pressures in research settings. When PNS is repeated in patients with labile lung volumes, FRC should be measured on the day of the study. Assessing lung volume may be less crucial for clinical assessment, recognizing that a change in Pdi,tw or Pmo,tw can reflect changes in diaphragm properties, or lung volume, or both. Twitch potentiation. A transient increase in the contractility of a skeletal muscle follows its contraction. This phenomenon is called potentiation (143, 144). The possibility of twitch potentiation should be taken into account when interpreting studies involving PNS. A period of quiet breathing, e.g., 15 min, should be allowed before recording diaphragm twitches, particularly if maximal maneuvers or sniffs are performed beforehand (145-147). 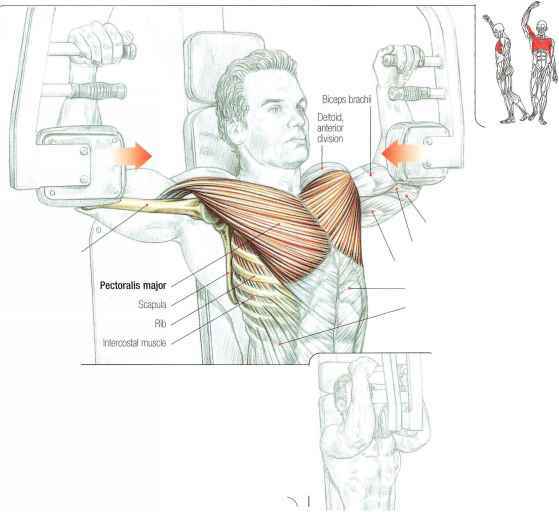 Hypertrophy of neck muscles. When there is a bilateral paralysis, Pes,tw and Pdi,tw during ES are zero. With CMS, coactivated neck muscles can, theoretically, produce some degree of Pes,tw during CMS. This effect may be small in most subjects (148), but could be larger in patients with hypertro-phied inspiratory neck muscles (149).